2018 Asian Games Highlights: India's Varsha Gautham/Sweta Shervegar won silver in 49er FX women sailing event. Harshita Tomar won bronze in Open Laser 4.7 sailing event and Varun Thakkar/Ganapathy Chengappa won bronze in 49er men sailing event. 17:55 IST: MEDAL ALERT: Boxer Vikas Krishan wins bronze in men's middle 75kg category. This is India's 64th medal at the Games. 17:02 IST: BOXING: Amit Panghal beats Philippines' Carlo Paalam to enter final of Men's Light Fly (49kg). 16:22 IST: In Soft Tennis, India lose 0-3 to Thailand in women's team preliminary Group A match. 16:20 IST: MEDAL ALERT | Indian men's squash team takes home the bronze medal after losing 0-2 to Hong Kong in semifinal. 16:13 IST: In Soft Tennis, India lose 0-3 to Japan in men's team preliminary Group C match. 15:25 IST: In Squash, India trail 0-1 against Hong Kong in men's team semifinal. 15:10 IST: In Canoe, India's Prakant Sharma/Jamesboy Singh Oinam qualify for men's 200m double (C2) final. 14:57 IST: MEDAL ALERT | Varun Thakkar/Ganapathy Chengappa win bronze in 49er Men Sailing event. This is India's 62nd medal overall. 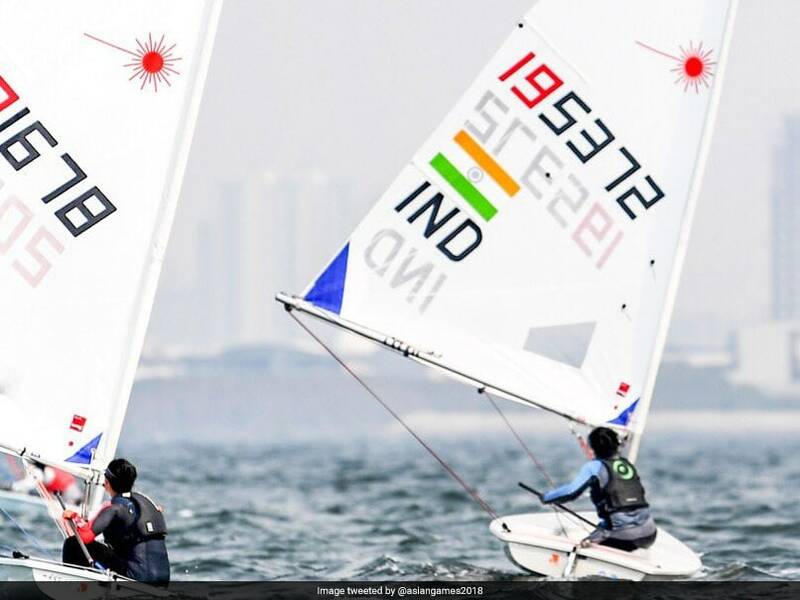 14:56 IST: MEDAL ALERT | Harshita Tomar wins bronze in Open Laser 4.7 Sailing event. This is India's 61st medal at the Games. 14:55 IST: MEDAL ALERT | India's Varsha Gautham/Sweta Shervegar win silver in 49er FX Women Sailing event. 14:45 IST: Men's team Squash semifinal between India and Hong Kong begins. 14:20 IST: In Roller Skate, India's Aarathy Kasturi and Varsha Sriramakrishna finish seventh and eighth respectively in women's Road 20km race. 13:57 IST: In Soft Tennis, India lose 0-3 to Republic of Korea in women's team Preliminary Group A match. 13:56 IST: In Soft Tennis, India lose 0-3 to Indonesia in men's team preliminary group C match. 13:55 IST: In Diving, India's Ramananda Sharma qualifies for men's 3m Springboard final. 13:14 IST: In Roller Skate, India's Amitesh Mishra finishes eighth in men's Road 20km race. However, another Indian in the fray, Harshveer Singh Sekhon, registers a DNF (Did Not Finish). 12:55 IST: India's Sathiyan Gnanasekaran loses 11-9, 4-11, 9-11, 6-11, 10-12 to Japan's Kenta Matsudaira in men's singles Round of 16 Table Tennis match. 12:45 IST: In Table Tennis, India's Sathiyan Gnanasekaran loses the fourth game 6-11 to Japan's Kenta Matsudaira, trails 1-3 in men's singles Round of 16 match. 12:37 IST: In Table Tennis, Sathiyan Gnanasekaran in trouble as he loses the third game 9-11 to Japan's Kenta Matsudaira. The Indian now trails 1-2 in men's singles Round of 16 match. 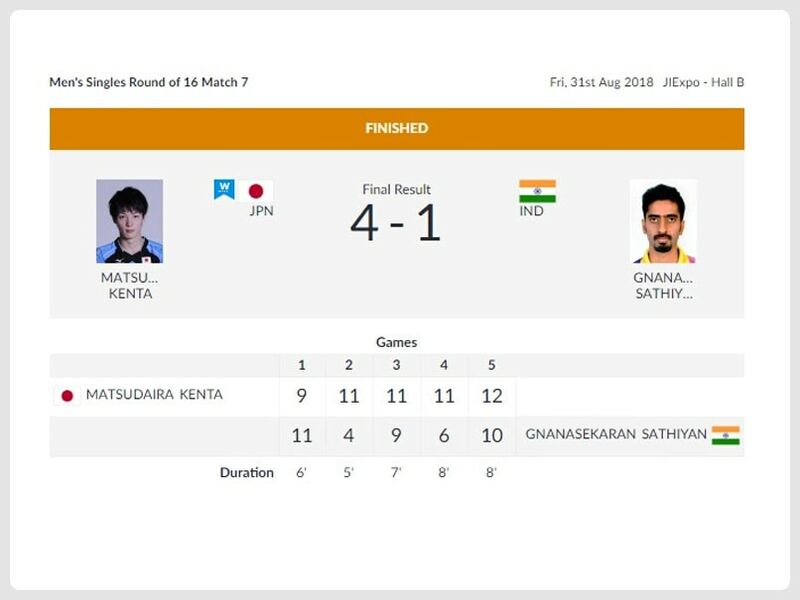 12:29 IST: In Table Tennis, India's Sathiyan Gnanasekaran loses the second game 4-11 against Japan's Kenta Matsudaira, men's singles Round of 16 match level at 1-1. 12:23 IST: In Table Tennis, India's Sathiyan Gnanasekaran wins the first game 11-9 against Japan's Kenta Matsudaira, leads the men's singles Round of 16 match 1-0. 12:15 IST: In Table Tennis, men's singles Round of 16 match between India's Sathiyan Gnanasekaran and Japan's Kenta Matsudaira begins. 11:25 IST: GREAT NEWS! Indian women's squash team to vie for gold after beating Malaysia 2-0 in the semi-finals. 11:09 IST: In Table Tennis, India's Manika Batra eliminated after losing 2-11, 8-11, 8-11, 11-6, 4-11 to China's Manyu Wang in women's singles Round of 16 Table Tennis match. 10:55 IST: In Table Tennis, India's Sharath Kamal loses 2-4 to Chinese Taipei's Chihyuan Chuang in men's singles Round of 16 match. 10:53 IST: India lead 1-0 against Malaysia in women's team squash semifinal. 10:46 IST: In Table Tennis, India's Manika Batra loses the second game 8-11 to China's Manyu Wang, trails 0-2 in women's singles Round of 16 match. 10:44 IST: In Table Tennis, India's Sharath Kamal loses the fifth game 9-11 to Chinese Taipei's Chihyuan Chuang, trails 2-3 in men's singles Round of 16 match. 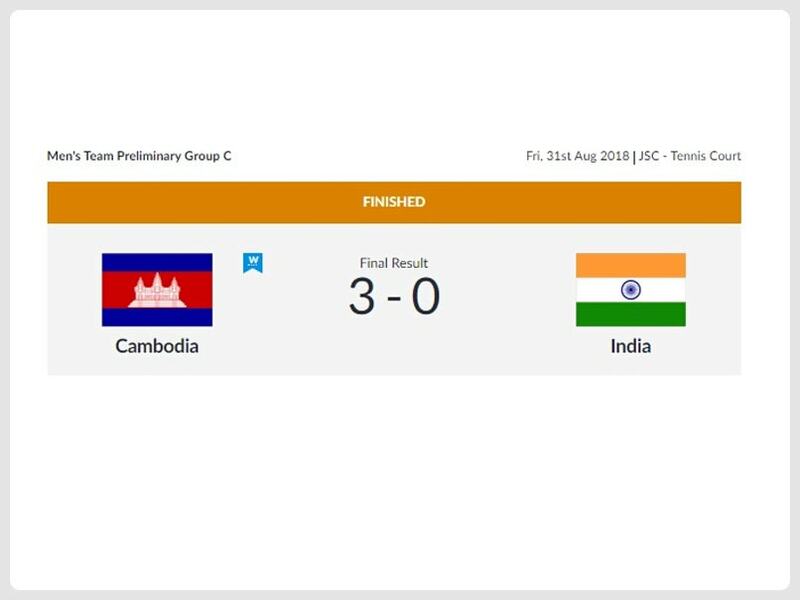 10:42 IST: In Soft Tennis, India lose 0-3 to Cambodia in men's team preliminary Group C match. 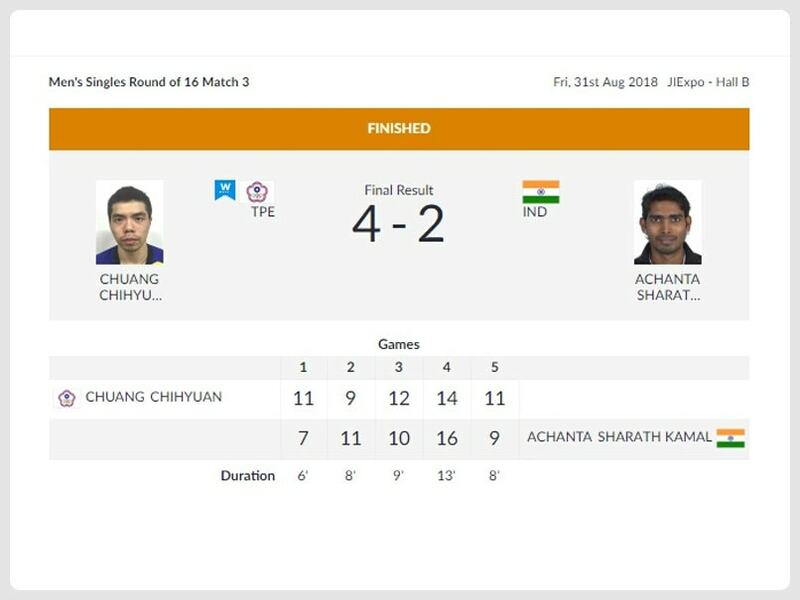 10:34 IST: In Table Tennis, India's Sharath Kamal wins 4th game 16-14 against Chinese Taipei's Chihyuan Chuang, men's singles Round of 16 match level at 2-2. This is turning out to be an exciting tie. 10:32 IST: In Table Tennis, women's singles Round of 16 match between India's Manika Batra and China's Manyu Wang begins. 10:20 IST: In Table Tennis, India's Sharath Kamal loses 3rd game 10-12 against Chinese Taipei's Chihyuan Chuang, trails 1-2 in men's singles Round of 16 match. The Indian is giving away his lead rather easily. 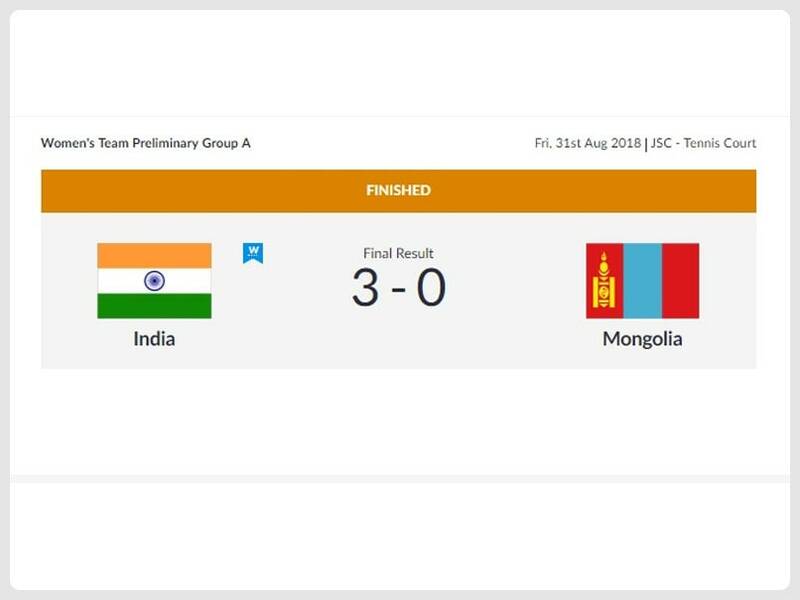 10:11 IST: In Soft Tennis, the Indian women's team begins their Asiad campaign with a convincing 3-0 victory over Mongolia 3-0 in women's team preliminary Group A match. 10:10 IST: In Table Tennis, India's Sharath Kamal draws level at 1-1 by winning the second game 11-9 against Chinese Taipei's Chihyuan Chuang in men's singles Round of 16 match. 10:01 IST: In Table Tennis, India's Sharath Kamal loses the first game 7-11 to Chinese Taipei's Chihyuan Chuang in men's singles Round of 16 match. 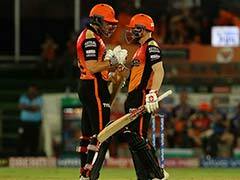 The first game lasted just six minutes. 09:57 IST: In Table Tennis, Men's singles Round of 16 match between India's Sharath Kamal and Chinese Taipei's Chihyuan Chuang begins. 09:40 IST: Women's Squash team semifinal between India and Malaysia begins. 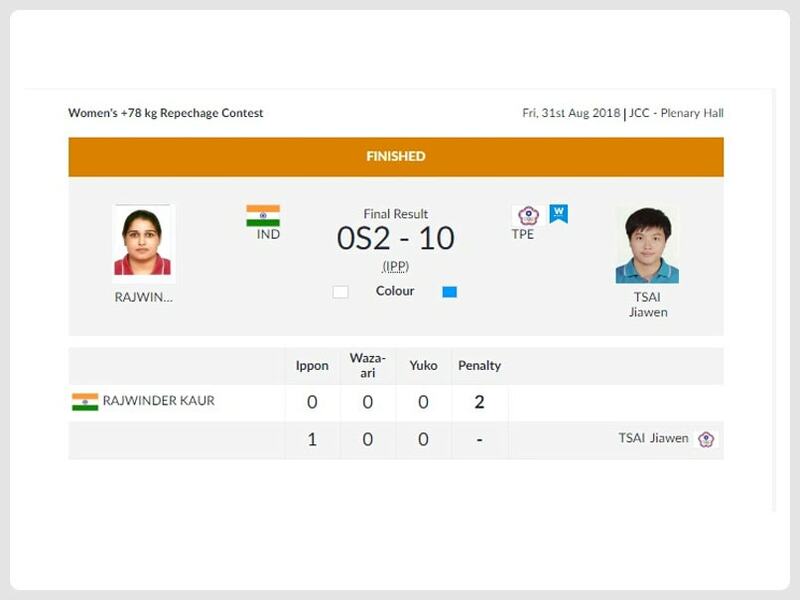 09:28 IST: In Judo, India's Rajwinder Kaur's campaign comes to an end as she loses to Jiawen Tsai of Chinese Taipei in women's +78kg Repechage round. 09:09 IST: In Cycling Track, India's Ranjit Singh finishes second last in Heat 2 of men's Keirin Round 1 Repechage event. 09:03 IST: In Cycling Track, India's Esow Alben finishes last in Heat 1 of men's Keirin Round 1 Repechage. 08:50 IST: In Volleyball, India lose 0-3 to Chinese Taipei in women's classification match. 08:29 IST: In Judo, India's Rajwinder Kaur in Repechage round after losing to Japan's Akira Sone in women's +78kg quarterfinals. 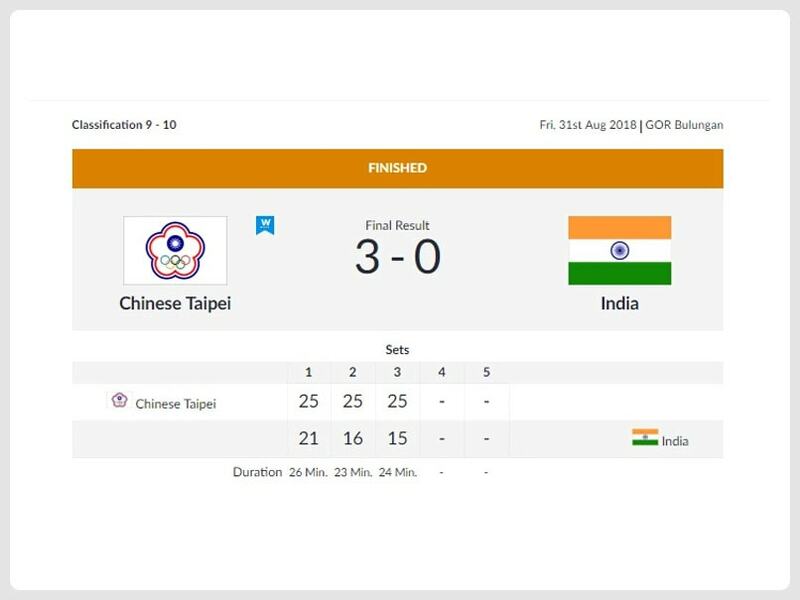 08:25 IST: In Volleyball, India trail 0-2 against Chinese Taipei after losing the second set 16-25 in women's classification match. 08:20 IST: In Kayak, India's Naocha Singh Laitonjam qualifies for men's 200m single (K1) semifinals. 08:13 IST: In Kayak, men's 200m single (K1) event involving India's Naocha Singh Laitonjam begins. 08:10 IST: In Cycling Track, India's Ranjit Singh and Esow Alben qualify for Round 1 Repechage of men's Keirin event. 08:08 IST: In Kayak, India's Ragina Kiro qualifies for women's 200m single (K1) semifinals. 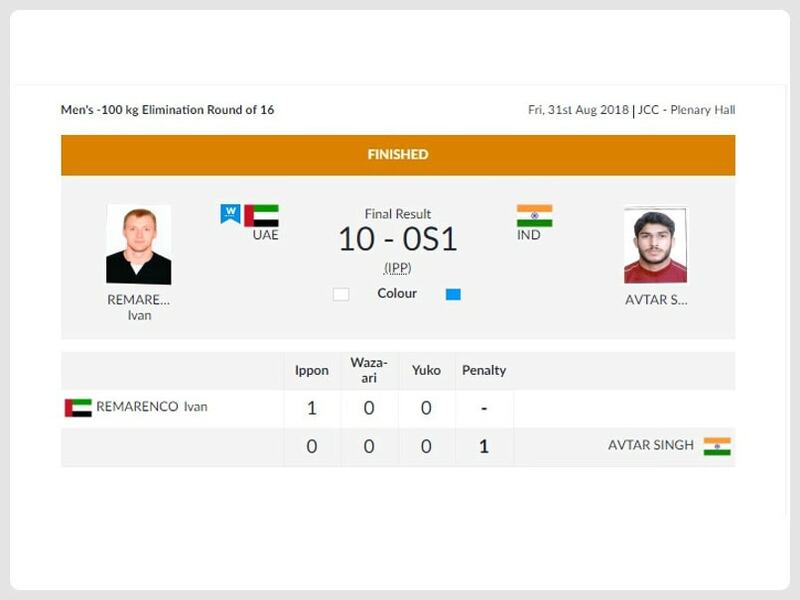 08:00 IST: In Judo, India's Avtar Singh loses to Ivan Remarenco of UAE in men's -100kg Round of 16. 07:55 IST: In Volleyball, India lose the first set 21-25 against Chinese Taipei in women's classification match. 07:50 IST: In Kayak, Women's 200m single (K1) event involving India's Ragina Kiro begins. 07:48 IST: In Canoe, India's Meera Das registers a DNF (Did Not Finish) in Women's 200m Single (C1) event. Not a good news to begin the day with. 07:40 IST: In Volleyball, India are currently leading 9-7 against Chinese Taipei in the first set in women's classification match. 07:35 IST: In Canoe, Women's 200m Single (C1) event involving India's Meera Das begins. 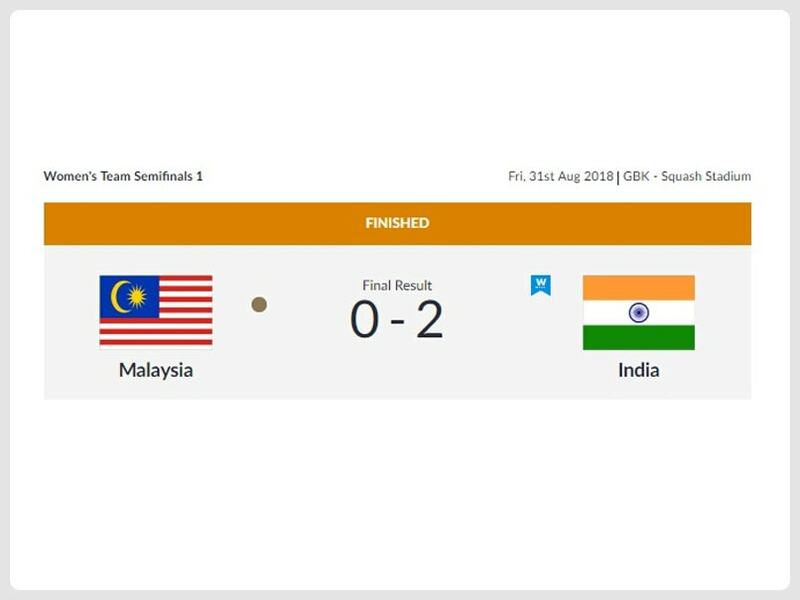 Earlier, the Indian women's squash team defeated Malaysia 2-0 to enter the gold medal match. Meanwhile, India's Ragino Kiro and Naocha Singh Laitonjam failed to qualify for the Kayak single (K1) 200m women's final and Kayak single (K2) 200m men's final respectively. Apart from this, India qualified for the Canoe double (C2) 200 men's final. Johnson was among the front runners right from the start while Tiouali took the early lead. However, Johnson powered away towards the end and the Bahrain athlete was not able to match the Indian's explosive speed. Manjit ran a more tactical race. He had positioned himself near the back of the group and tried to produce his trademark explosive burst going into the final lap. But with the runners closely bunched together in the rear and middle of the group, he found it difficult to create space which ultimately cost him a medal. In the women's 4X400m event, the Indian quartet of Hima Das, Raju Poovamma, Saritaben Laxmanbhai Gayakwad and Vismaya Koroth registered a time of 3:28.72 to finish at the top of the podium. Bahrain got silver with 3:30.61 while the quartet from Vietnam clocked their season's best time of 3:33.23 to bag the bronze medal. In the men's 4X400m relay, the Indian quartet of Muhammed Kunhu, Dharun Ayyasamy, Muhammed Anas and Rajiv Arokia clocked a time of 3:1.85 to finish second. Qatar created a new Asian record of 3:00.56 to win the gold while Japan finished the race in 3:01.94 and bagged the bronze medal. Boasting an all African line-up, Qatar dominated the race from start to finish. 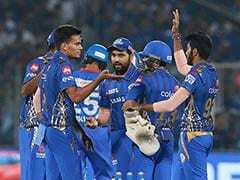 The Indians were at the fourth position during the initial stages but recovered in superb fashion to take the second spot going into the final lap. In women's discus, Seema Punia had to settle for the bronze medal. Seema registered a throw of 62.26 metres to ensure a place on the podium. China clinched the top two positions with Chen Yang (65.12m) and Feng Bin (64.25m) getting gold and silver, respectively.